Does it feel like your content strategy is all over the place, inefficient and hard to manage? Would you like to streamline your processes so that your content is easier to create, drives more traffic and converts more visitors into profitable customers? Every piece of content you create should act like a digital salesperson, bringing new visitors to your site, passing along your message and getting that visitor to take the next step toward becoming a customer. In this course you are going to learn strategies and processes for creating content that consistently sets new records for your business. Optimizing your content helps search engines quantify the depth and quality of your information. 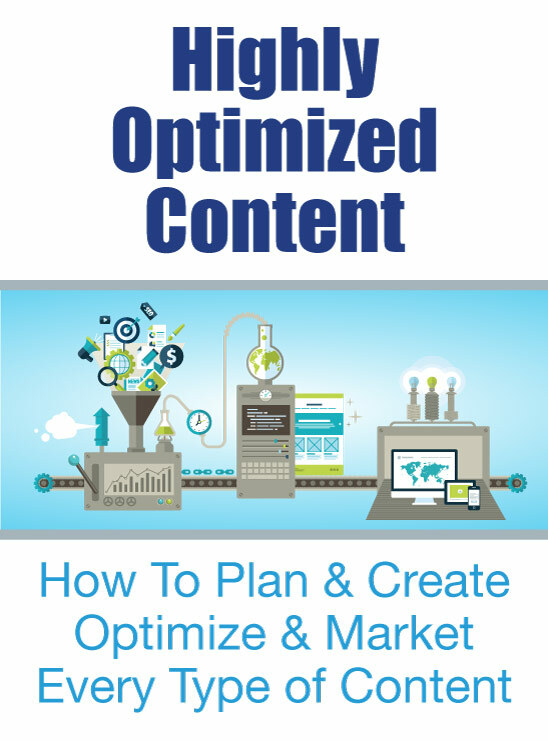 Optimizing your content is how you differentiate your page from similar pages that already exist online. If your content is highly optimized you won’t need nearly as many links to get top search engine rankings. But, you will still need to properly promote and support that content for it to succeed. There are many channels that you should be utilizing to drive visitors to your content. There are specific things you need to do in order to get backlinks from other sites, or get your content syndicated, or go viral through social sharing, or to get top Google search results. And, if you are not doing those things, your content will continue to fall short. Sure, some content that goes viral is just plain dumb luck. Like a cat video with 28.5 million views… and dumb luck is easy! Heck, one time I went golfing and hit a hole in one, and that was pretty easy… because it was dumb luck. Do you know what wasn’t easy? Doing it again on the next hole. For an organization to consistently get great results from their content marketing, it isn’t dumb luck, and it isn’t easy. There, I said it. It isn’t easy! But the truth is, it isn’t really that hard either. There are processes and strategies that can virtually guarantee your organization enjoys consistent content success. Of course, some of these strategies change a bit depending on the goals of the organization, the type of content and the target audience. But most of the core processes are the same. Those core processes are the foundation for a successful content marketing strategy. In this course you will learn the core processes that will guide you through ideation, research, creating highly optimized content, syndicating, distributing and promoting that content. Through this course you will learn to radically transform your business. A great content strategy doesn’t just deliver a message, it builds rapport. A great content strategy doesn’t just attract visitors, it builds an audience. A great content strategy turns your site into a destination and turns you into a thought leader in your industry. When it comes to online marketing, it’s true that “content is king!” and by the end of this course you will be ready to take your rightful place among the royal family of your industry!